Now that I'm about to pass into middle age, now that I've had a son and want to hold tight to each joyful, exhausting, bountiful, maddening day, I've dropped all interest in darkness and doom. Except in my poems…. I feel like I've learned, slowly and painfully, how to channel the insights gained from touring the abyss into my work and then get the hell out of there. I would attribute most of my obsession with death to my mom's early death from cancer, but I was anxious about death well before that. I remember sitting in class in elementary school and realizing I would die someday; I went cold and goosebumps sprouted up and down my arms. It may have been my first adult realization—that I would die and there was no escaping it. Death is a huge part of life—death is life—so even though I joke about being a doom-driven lady of darkness, what I'm exploring is an undeniably central aspect of life. 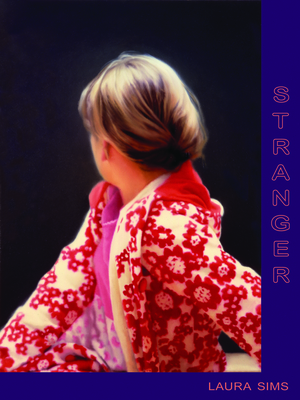 Sims wrote Stranger, in part, after being awarded a US-Japan Creative Artists Exchange Fellowship in 2006. 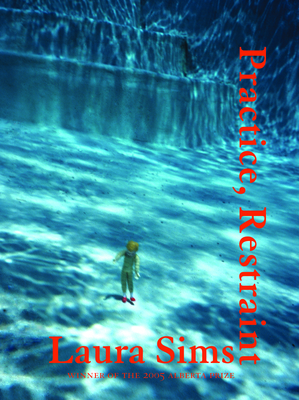 Her first book, Practice, Restraint, was awarded the 2005 Fence Books Alberta Prize. 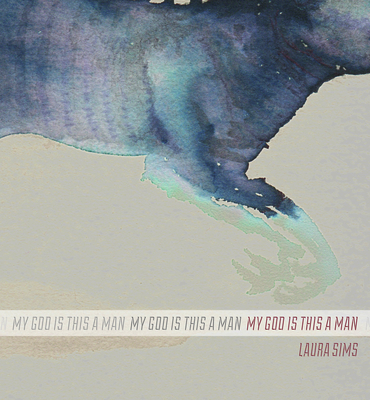 In her third poetry book, My God Is This a Man, Sims explores death, life, and humanness through the integration of many sources—a mash-up technique she uses often in her work. "My writing (my poetry, anyway) is deeply influenced by music, film, and TV," says Sims. In this case, Sims read "the confessions, interviews, letter and journal entries of, with, and by convicted (or suspected) murderers." She allowed their words and ideas (as well as language from the Boston Marathon bomber's confession) to influence and filter into her work. She also incorporated language from a "bedtime relaxation" meditation audio file from MIT into the book. The effect is a poetry page-turner where there are moments of deep beauty and unexpected empathy combined with moments of terror. Walk into a Costco with guns. Walk into a coffee shop with guns. "Becoming a mother," Sims told me, "left me feeling thin-skinned and constantly primed for disaster. I've become habituated to the feeling, and maybe it has lessened a bit as my son has grown older (he's in first grade), but I am still easily freaked, and constantly imagine terrible scenarios. Some of them outlandish, others not so outlandish at all." Even when I'm verbalizing terrifying things, I tend to go broad. It's a subconscious form of self-protection. I would like to say yes, that I purge the terrifying things and then go about my business, but even after I've written them down, they still haunt me. So, yes, there is a purging or a placing of these ideas outside myself and onto the page, but . . . the ideas always circle back. Still, unlike her other books, this book was written partially in response to her young son's questions (featured in the afterword), such as: "Were we alive in the old days?" and "What happens to people who die?" and "What's at the end of space?" I'm rarely, if ever, specific in my work. Maybe it's old-fashioned of me, but I can't bring myself to write so directly—or even indirectly—about family life. I feel that my work is sometimes excruciatingly intimate but, simultaneously, somehow, not personally revealing at all. Certainly not in the autobiographical way that would allow me to speak my desires for [my son] Caleb's life. They are simple anyway: I want him to live long and be healthy, both mentally and physically. I want him to have a passion or a passionate vocation. I want him to form deep friendships and find a worthy significant other to build a family with. It is also true, though, that in my days since becoming a mother, I've been more able to stay in the moment and to feel more optimistic in general. I don't spend so much time dwelling on darkness. How could I with my son's ebullient presence filling every day? Arab-American poet Claudia F. Savage is one-half of the improvising performance duo Thick in the Throat, Honey. Her poems have been published, most recently, in Water-Stone Review, Nimrod, Denver Quarterly, Columbia, clade song, FRiGG, and the mother-centric Cordella. Her interview series, “Witness the Hour: Conversations with Arab-American Poets Across the Diaspora,” can be found in Drunken Boat. She is a Best New Poets nominee and author of Bruising Continents, The Last One Eaten: A Maligned Vegetable’s History, and The Hour of Anjali, a chapbook by four poets about the senses. Her collaboration reductions, about motherhood and ephemerality, with Detroit artist Jacklyn Brickman, is forthcoming in 2018. She lives with her husband and daughter in Portland, OR, where caffeine is a necessity. Thanks for introducing me to this awesome poet.